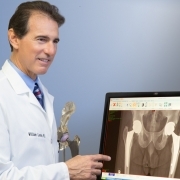 In my two previous blog posts, I described treatment of hip fractures and caring for patients who just did not heal well after treatment. For this final post in the series I will discuss infection, which always must be considered after any type of surgery, especially when the surgical result was not as anticipated or acceptable. Sometimes a low-grade infection can be present without the patient even being aware or showing obvious signs. Diagnosing an infection is often difficult, particularly when signs are not obvious. Confirming that an infection is present often requires a high dose of suspicion and diligence. Diagnosing an infection is critical prior to any additional surgery because, if not detected, further surgical treatment almost certainly will fail. Sometimes, despite hyper-vigilance and appropriate testing, an infection diagnosis cannot be made even though an infection is present. In other cases, we see gross signs of infection and even pus, yet the infecting organism cannot be identified. Were antibiotics extended after surgery or restarted after discharge? 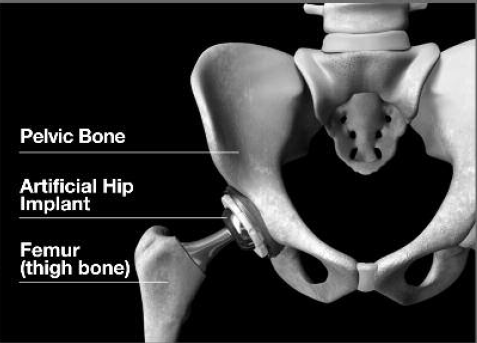 Are the hip symptoms present both at rest and during activity? Does hip pain awaken you from sleep? Is the pain increasing with time or improving? Was there a period when symptoms seemed to be improving nicely and then suddenly they began to worsen? Have you experienced other infections that potentially could impact the hip, such as a tooth abscess or a stasis wound with cellulitis on the same leg? Are you experiencing any systemic symptoms (general symptoms all over the body) such as weakness, malaise, sweats or chills? Are you more prone to infections from another disease process or the medicines to treat that disease (such as rheumatoid arthritis or diabetes) that make you immunosuppressed? Was a Doppler study done to rule out DVT (phlebitis)? X-ray appearance can give clues if an underlying infection is present. Cross-sectional imaging studies, such as an MRI or CAT scan, also may add valuable information. Occasionally, a bone scan, radioactive WBC (white blood cell count) labeled scan, or special MARS MRI will be requested. Obtaining additional studies, including a WBC with differential, as well an ESR (erythrocyte sedimentation rate) and CRP (C-reactive protein count) also can be appropriate. These tend to be elevated when an infection is present. Unfortunately, they aren’t always elevated, especially in cases of low-grade, chronic infection or with some low- grade infecting organisms. These studies can show elevation from many other conditions even when infection is not present. If the studies are elevated, it does increase the index of suspicion. 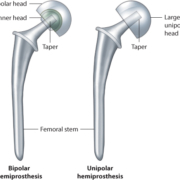 If an endoprosthesis is present (monopolar, bipolar or total hip replacement) then the hip should be aspirated and the fluid analyzed and cultured. The new Synovasure test recently became available which has greatly improved our ability to diagnose infection and helps differentiate inflammation from infection. After the synovial fluid is aspirated, it’s sent to a special lab where a biomarker can be measured that is called alpha defensins (a biomarker is a protein that acts as the body’s natural antibiotic and is present when the body is fighting infection but not present in other conditions that mimic infection). In my experience, routinely aspirating around hardware that is present hasn’t been particularly fruitful. However, if imaging studies or an ultrasound demonstrate that there is an associated fluid collection around the hardware, then I would try to aspirate the fluid for testing. Assuming the preoperative workup for an infection is negative, it’s still important to be extremely cautious and vigilant at the time of surgery. I send tissue that I remove from around the failed hip or fracture (called a frozen section) to our pathologist for immediate analysis. I also send fluid for analysis to assess the number and the percentages of different types of white blood cells to help guide my decision-making and treatment. Fluid and tissue, which are removed from around the fracture site, hardware or prosthesis, also are sent for culture. While critically important, these cultures must incubate over days and sometimes weeks, so they do not help guide decisions made at time of surgery. 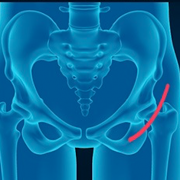 If infection is found, either preoperatively or during surgery, then the infection must be treated first before solving the complex problems associated with the hip or hip fracture. This often requires an additional surgery to reconstruct the hip after the infection is fully treated and hopefully cured. This is an important discussion I have with my patients preoperatively – advising them of what I must do if infection is found at time of surgery. At The Leone Center for Orthopedic Care, we take strict precautions to prevent infection. 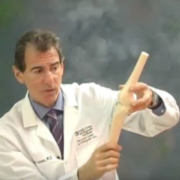 When a patient is doing poorly after treatment for a hip fracture, whether they have hardware placed in an attempt to save a joint or a full joint replacement, then infection must be considered and “ruled out” to the best of our ability. If infection is diagnosed, then it must be fully treated.